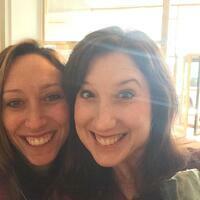 Katie and Heather's friendship was born at the 2012 FPWR Research Conference in Indianapolis. Both women, and their wonderful husbands, hit it off immediately and say they would have been fast friends regardless of how they met. 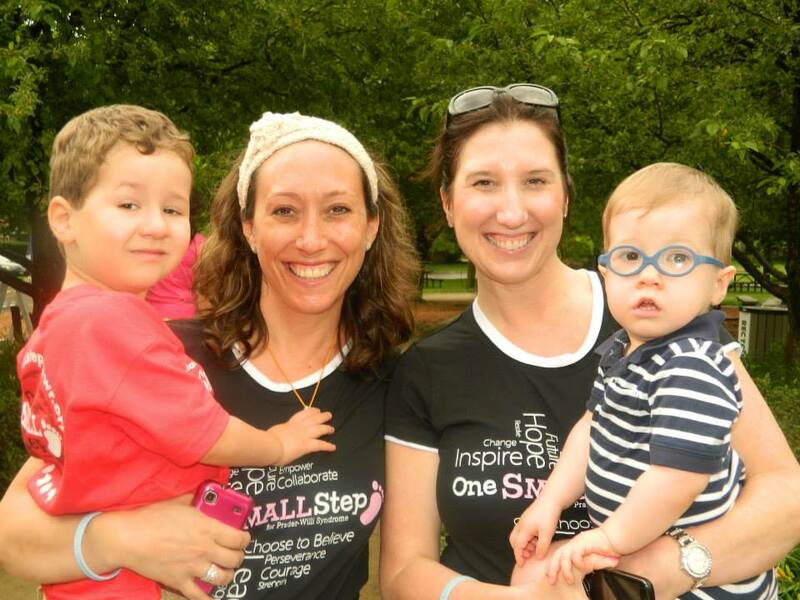 Heather (mom to Max, age 5) shared, "During dinner we learned we lived only about 20 minutes from each other and by the end of the evening, we were gearing up to plan our first One Small Step Walk in 2013!" Heather, who recently returned to the furniture industry after 5 years at home with her beautiful son Max, shared why she is so passionate about fundraising on behalf of FPWR. "By jumping into fundraising I joined the One Small Step community, found the research community and felt that I was able to pull myself up from such unbelievable sorrow and the feeling of loss, to feeling full empowerment! I now feel like I am fighting for Max's cure, I am a part of it and not just sitting around waiting for someone to do it for me." Both Katie and Heather agree that fundraising can be an incredibly powerful way to connect with your community. When asked what advice they would give to first time fundraisers or parents new to the FPWR community, Katie responded, "Be passionate about your cause and don't be afraid to ask for help...Take on whatever YOU can handle whether big or small as any amount will make a difference. Tell your story and don't be afraid to be vulnerable. People will listen and want to help." Heather wisely added, "A team always makes diving in more fun and less threatening. But, if it's just you, keep it simple. The people in your community will show up, they will support you. You really just need to ask." As we approach the first Live Life Full Gala in Chicago the FPWR staff is in awe of the incredible work and dedication that Heather and Katie have shown for our community. Both hosts look forward to celebrating the success of their first gala over well-deserved cocktails with each other and their husbands....and then they will start planning their 2015 One Small Step walk! Tickets are still available for the Live Life Full Chicago Gala. Please join these incredible hosts for what promises to be a memorable evening for PWS research! FPWR celebrates those individuals who have risen to the challenge of PWS and are making a difference in the lives of everyone in our community. 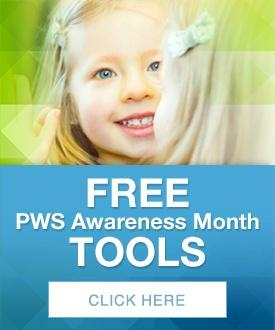 Do you know someone who should be highlighted in our PWS People section? The International One Small Step for Prader-Wili Syndrome Walkathon demonstrates the power of individuals and organizations working together to achive a common goal. Over 10.000 participants attended 68 One SMALL Step events around the world in 2013 raising $1.3 Milion for Prader-Willi Research. Join our team today!